As the Christmas season gets into full swing, so does the time Christmas movies playing either on television or copies of family favorite. So, in honor of Classic Christmas movies, I’ve decided to share with you my top 5 favorite Christmas movies of all time. 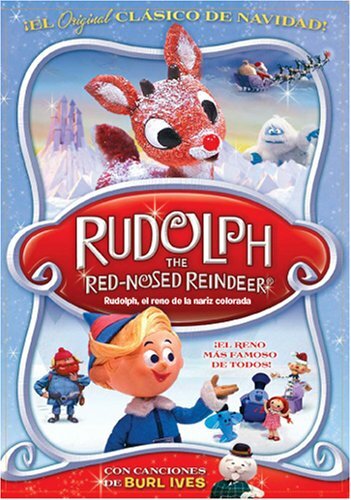 The All-time best Christmas movie, Rudolph is a true classic. Made in 1964 the movie has been around for decades, bringing joy to multiple generations. Who can forgive the loveable Island of Misfit Toys? Or the sweet Rudolph who just wants to fit? Or the wonderfully happy ending were Rudolph the Red-Nosed Reindeer guides Santa’s Sleigh through the foggy Christmas night? Well no one because every Christmas this movie is shown on repeat to children, adults, parents, and grandparents alike to enjoy! 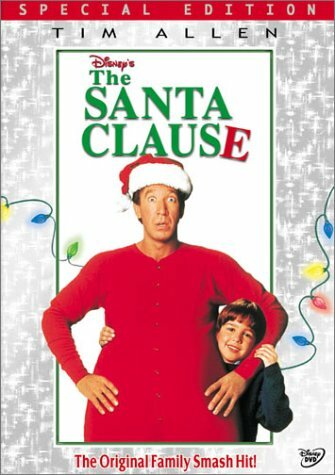 A Classic for the new generation, The Santa Clause has quickly become a Christmas movie staple. While the following sequels were okay, nothing comes close to the original. The story was funny and sad at the same time and all we even wanted was for Scott Calvin to believe! I’ll even admit, when I was young I had a little crush on the surly head elf Bernard. “You’ll shoot your eye out!” Who hasn’t seen A Christmas Story? Somehow the movie which was classified as a sleeper film became a Christmas classic. The true appeal of the film in my opinion was that every child at some point felt like a little Ralphie. We all had a gift we desperately wanted yet for some reason the adults in our lives said “NO”. Although, I’m pretty sure I was never told because I’d “shoot my eye out”. 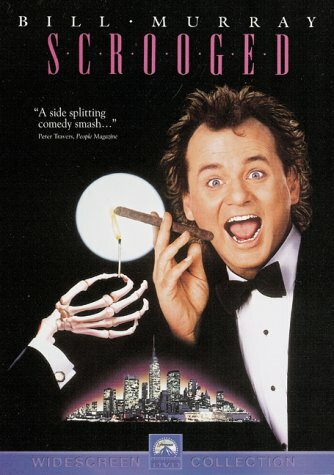 I was never a fan of A Christmas Carol however Scrooged, with it’s modern twist on the the tail is on constant repeat on television during the Christmas season and my dad loves it. So over the year, this film grew on me and I too have come to love it. And since it is on constant repeat, others must love this Bill Murray film too! The only musical on this list, it is honestly a true classic. I must admit I didn’t want to watch this when my roommates insisted on watching it. I’m glad however that they did. This movie is fun and endearing and so worthy watching. 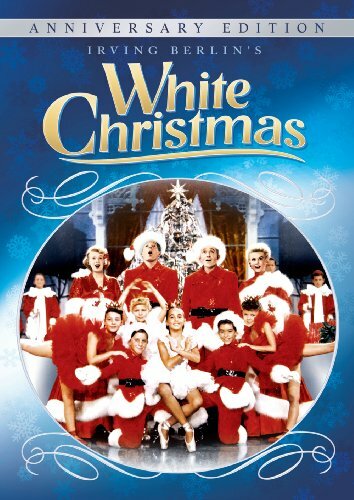 Plus, it also has the one and only Bing Crosby singing his iconic “White Christmas”. So what do you think of the list? What movies make up your top five Christmas movie? Making your dough requires the most patience. You’ll need to spend several minutes (mine took about 20) kneading the dough until it comes together completely. Your dough shouldn’t be sticky or crumbly. Add more cinnamon or applesauce until your dough forms a neat ball that’s about the consistency of clay. For recipes check out McCormick or the katy elliot blog. Next “flour” your counter or board with cinnamon. The dough isn’t sticky but you don’t want to risk having to peel these little guys up. You’ll want the dough to be at least 1/4″ thick. Honestly the thicker the better, because once they’re dry they’ll be pretty fragile. Cut your ornaments into whatever shapes you desire. I like the gingerbread men since they look like cookies hanging on the tree but hearts and stars are cute too. Don’t forget the make holes to hang the ornaments; I recommend using a drinking straw. Place your cut outs on baking sheets; it’s a good idea to use mats or parchment paper since these are basically clay they may leave crumbs permanently dried to your pans. Also don’t worry about putting them too close together; the dough won’t spread so as long as they’re not touching you’re fine. Dry the ornaments in a 200-degree oven for 1 to 2 hours. Remember drying time will depend on the thickness and size of your ornaments. Mine took just under two hours but they we’re a little on the thin side. If your unsure I recommend kick-starting the drying process with 45-minutes to an hour in the oven then allowing them to air dry for a day or two. (Letting them go too long in the oven might make them more fragile.) I’m telling you right now, the smell is downright heavenly! I hope you love cinnamon because the wonderful scent of baking spices will fill every room of your home for days. Once your ornaments are completely dry run a pretty string or ribbon through the holes – i found this adorable red and green twine at Michael’s – and hang from your tree. These also make a special homemade gift for friends and family! Put half a dozen in a cute box as an unexpected surprise for a secret santa exchange, use them as decorations on packages, the possibilities are endless. No matter how you use them, these pretty little ornaments add a sweet, rustic touch to your holiday decor! There’s just something about Linus and his blue blankey that reminds me of Christmas. I love watching A Charlie Brown Christmas with my family and each year I appreciate the message more and more. It’s no coincidence that Linus’ words of wisdom came up twice at church this morning! The message of the Charlie Brown Christmas specials is clear: that we should set aside the shopping, decorating, and comercialism (as good ol’ Chuck would put it) and remember the reason for the season. Let’s all take pause this Christmas to pray on Luke 2 and appreciate just how incredible it is that God came down to be among us on Christmas. Of course, we can still enjoy the pretty lights and give gifts to the ones we love, but let’s not forget the greatest gift of all. Jesus. With Christmas just around the corner, Christmas present shopping is coming upon us. For those of you who have already finished your shopping, I applaud you! For those of you who want some easy, homemade (relatively cheap) gift ideas, we’ve come to the rescue. Below are some of the favorites we found online. These coasters are an unique gift to give some of your friends. You can choose the scrapbook paper to use so you can customize these gifts to each of your friends! Jordan at Blueprint Crafts has the tutorial for these great gifts on her website. Check them out! Everyone has keys, so what would be better than a gift which a person could use everyday? While these do take some effort, sewing is required, they are worthy it! Like the coasters, these too can be personalize. Plus, they are quick and small to make, which makes them perfect gifts for teachers, acquaintances, coworkers, and yes even good friends! 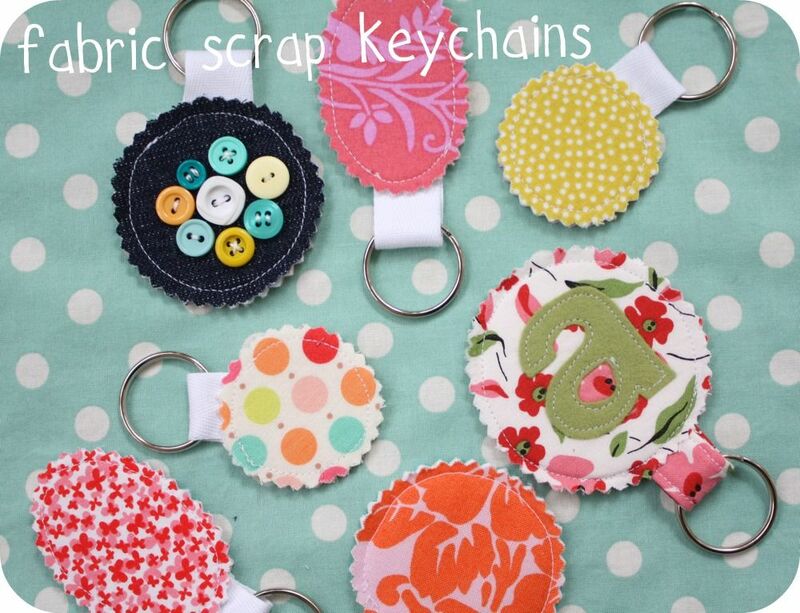 Jessica at Craftiness is Not an Option has a great tutorial on these cute keychains! These are the easiest and quickest gifts to make and give! Laurie at Tip Junkie has 48 different ways to provide personalized Gifts in a Jar. She provides links to all the tutorials so you too can make the jars. Like the others gifts, these are can be completely personalized. If your friends has a dog, make the Doggie Treat Gift Jar at My Sweet Savannah, or if your friend loves cookies try the Toffee Blondies at Baked Bree! So pick one or pick all and make fun, personalized gifts for your friends and family this Christmas!!! Are you a last minute buyer or are you done with your shopping? Are you making homemade gifts for Christmas? With the holidays just around the corner it’s easy to brush off working out for any number of reasons. Trust me, I get it . . . I’m in the same boat! While it would be all to easy to just take a break from sweatin’ it out I’ve got a better – and healthier – alternative. I have these quick workouts to thank for getting my arms in shape for the wedding so, I promise, they’re effective! Why not break a little sweat first thing in the morning? This set is great if your shower’s like mine and takes forever to warm up! It’s also a good idea to get your blood flowing right off the bat . . . this wakes me up and really makes me feel ready for the day. You can do the tricep dips on the side of the tub and crunches and push ups on a rug or towel if your floor is too hard. Break it up into 3 sets of 10-10-25-25 and switch from move to move quickly so you’re getting your heart pumping too. Why just sit there watchings ads with that glazed over look in your eyes when you can get off your tush and shape up? This combination of moves is what I did to shape up my arms and flatten my stomach to look fabulous in my wedding dress. Just have a couple of 5-10 pound weights beside the couch and hop up every time there’s a commercial. You can do one move per break or, when it’s a longer string of ads, fit in both. This mini-workout can become a habit very quickly if you keep the weights close by and it’s great to make sure you’re moving! Who wants to be a couch potato anyway? Who says you can’t be nerdy and fit? The two can go hand in hand if you squeeze this set in between chapters. Just like during commercial breaks, keep small hand weights by your side while you’re reading so that you can give your eyes a break and pump a little iron while you’re getting your brain buff too. This workout and the commercial break combo about are really interchangeable so I promise you won’t get bored with either one. There you have it! With these quick fit tips none of us can use the I-don’t-have-time excuse not to work out this Chirstmas. It’s important for me, being on the go constantly this time of year, to make sure I’m still taking care of myself. Getting my blood pumping for a few minutes justa few times a day keeps my energy up and helps motivate me to eat healthy too! If you’re looking for more simple fitness tips check out Lazy Girl Fitness on the Violet Sage blog. (it’s also the source of the great pic in this post!) There are a ton of great moves that you can fit in with your normal routine! Top 5 Need to See Movies! A couple weeks ago, Lauren and I shared the top five books we were each looking forward to reading. So for those of you who aren’t big readers or who love movies, we have decided to share the top five movies we each are looking forward to seeing in the upcoming future. I don’t like zombies. At all. I avoid all things that have to do with them. 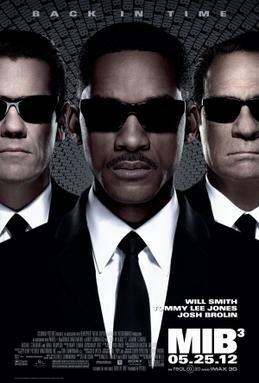 However, when I accidently stumbled upon this trailer, I immediately wanted to see this movie. Yes it is a zombie movies but at the same time it isn’t. Based on the book Warm Bodies, this movie also tells the story from the point of view of R, the zombie. This is one zombie movie (probably the only one) which I will willingly watch and enjoy. Like I’ve stated many times, I love history. 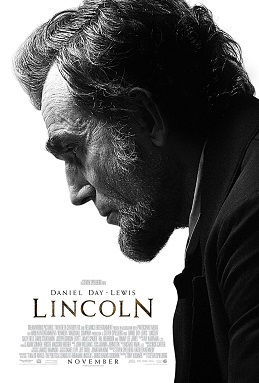 This movie looks like a winning combination of history, script, acting, and direction. With Steven Spielberg at the helm of this movie, my expectations are high. This movie has already been out in theaters for a couple weeks and has done really well, only increasing my expectations for when I actually do see it! What can I say about this movie other than I am so excited to watch it! The movie came out around Thanksgiving and therefore I have yet to manage a time to see it, however, it is on my weekend list. 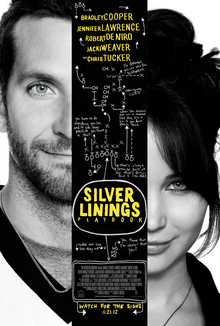 The combination of Jennifer Lawrence and Bradley Cooper at first gave me pause, but now it just seems to work. The comedy and drama blend so well in the trailer I can only imagine how well they will all blend throughout the whole movie. 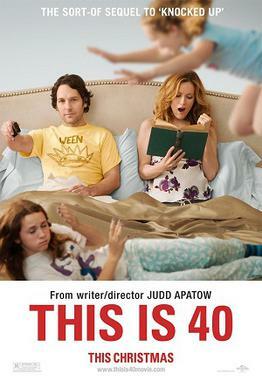 I find Leslie Mann and Paul Rudd equally hilarious. Putting the two back together in their original Knocked Up characters is a brilliant decision. Because I find the characters hilarious and the trailer looks funny, I have high expectations for this movie as a whole to be equally hilarious. Bruce Willis. For me, that is enough to get me to watch any movie. 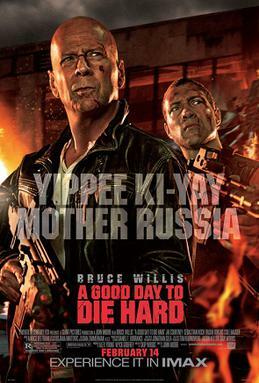 Adding in the fact that this is a sequel to one of my favorite movies of all time, Die Hard. I ‘m sold. While I have no illusions that this movie will not be like the original or even like Die Hard: With a Vengeance I still have no doubt that I will truly enjoy this movie. I feel the need to preface my list by saying: I’m a nerd. There you’ve been warned. My movies don’t have quite the same variety as Christine’s as four of the five are based on books. Hopefully as least some of you out there are kindred spirits and have been looking forward to these films just as much as I have! I picked the book up on a whim a couple of years ago and absolutely loved it! The modern coming of age story is something of an anomaly lately but Perks addresses several relevent issues facing teens now as much as when it was written. The movie version has Emma Watson and, personally, that’s enough of a reason to go see it! Paul Rudd playing the beloved english teacher doesn’t hurt either. Another soon to be favorite for me! The Keira Knightly-Joe Wright combination is responsible for two of my other top movies, Atonement and Pride and Prejudice. While it’s been years since I’ve read the book I’m looking forward to the adaptation. The story of an unfulfilled housewife having an affair isn’t an uncommon one in today’s film industry but the Russian novel is so tragically heart-wrenching it’s bound to be a great movie. I have to admit I’m most looking forward to the costumes on this one though. Furs and diamonds galore? Yes, please! Have you seen any of these movie? Did you like them? Do any of them look like movies you would want to watch? I received this devotional by Sarah Young as a gift from my mom earlier in the year and it has turned out to be one of the best I’ve ever had the pleasure of reading. Whether you’re looking for meaningful Christmas gift or a new daily devotional to start out the new year, do yourself a favor and check this one out! The readings are short and simple. I love that each day’s message reads more like a prayer than a textbook. Many times I’ve come across devotionals that prove to be too much to tackle. Either the readings are too in-depth for a daily devotion, or too lengthy to allot enough time to fully absorb them. While I would love to have the time to sit and read a chapter or two – and I’m sure many of you would agree – I have to speed read through the books to the point where the message gets dilluted in my rush to finish. This devotional give an uplifting message every day that’s not overwhelming or complex. If you do get this book I promise it will be a welcome part of your morning routine rather than a chore you feel you have to get done. For me personally, this makes it much more meaningful that I can be fully engaged for a few minutes and call to mind the devotion throughout the day. Jesus Calling provides daily thoughts on God in our lives that are rarely more than a couple of paragraphs. They’re brief enough that I can do the reading for that day while I have my morning coffee. I also enjoy the simple nature of Young’s prayer-like writings on God and how we interact with him. Many of the readings address simple truths about our faith that we often take for granted. This book is a refreshing way to start each morning and a great reminder that everyday is a gift from God.